When the 2015-16 Golden State Warriors went on an epic tear, winning a record 73 regular season games, it looked like the real losers were going to be the Chicago Bulls. After all, they were the previous record holders, thanks to their own historic run back in the '90s. Thankfully, God turned out to be a Bulls fan because the Warriors lost the Finals in seven games, leaving the single greatest season in NBA history with Da Bulls. The stats speak for themselves. A then record 72 games won. An MVP for Michael Jordan. Coach of the Year for Phil Jackson. Sixth Man of the Year for Toni Kukoc. Executive of the Year for the much-maligned Jerry Krause. The Bulls won their games by an average margin of 12.3 points. They had winning streaks of 13 and 18 games apiece, and didn't lose back-to-back games until February. New York Times Magazine declared them "The Best Team. Ever. Anywhere." They were unstoppable. Well, they were the "Unstop-a-Bulls." Everywhere they went, they were treated like rocks stars. Crowds followed their every move, hoping to catch a glimpse of the greatest show on Earth. So how do you go on after living as a legend in your own time? Well, for some, the fall back to earth has been easier than others. Let's check out where these legendary Bulls are now, from the penthouse to the poor house to the golf course. He's the greatest player in NBA history. He went six for six in Finals appearances. Five MVPs. The highest career points per game average in league history. He took Nike to atmospheric heights, hit countless game-winning shots, and even beat the freakin' Monstars. For many, 1996 was the feather in his championship cap, but retirement has barely slowed down this living legend. He bought his own NBA franchise and became only the second athlete to break the billion dollar barrier. Heck, some years he still hauls in $100 million from Nike, which is more than LeBron James banks. 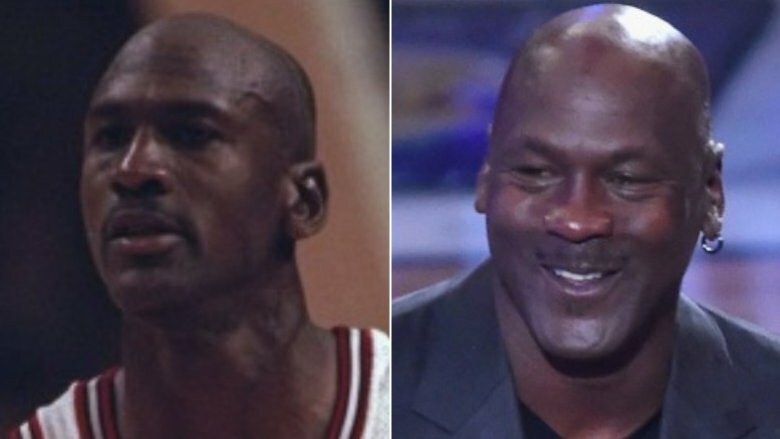 But for folks too young to remember Michael Jordan's prime, he's become something unexpected. A punchline. That's right, thanks to the "Crying Jordan" meme, his famous face has morphed into a sad symbol of defeat. No matter who you are, if you're a loser, his salty mug is waiting to rub it in. And then there's the fashion sense, or lack thereof. The jokes, which have inspired their own blog, culminated in 2015, when a basketball camper asked His Airness, "what are thoooooose?" If you don't know what that means, congratulations, you're old enough to drink, but for the meme-loving minors out there, it's a way to make fun of crappy shoes. Yes, the man who launched a sneaker empire is now getting mocked for the very thing that made him a billionaire. Life can be cruel, even if you're the GOAT. Scottie Pippen is the most famous second banana is sports history, and that's still selling him short. A prototype for the modern NBA, Pippen excelled at doing a little bit of everything, from hitting the big shot to pulling down the key rebound to making the crucial dish. The 1995-96 season saw him reach new heights, building on his year and a half as the Chicago Bulls' alpha dog, when Jordan briefly retired. If only he was as dominant off the court as he was on it. Sure, Pippen's still a beloved figure in Chicago and around the NBA landscape, but that didn't help much when it really mattered. It's a sad fact that many pro athletes go broke after leaving their sport, and Pippen was no exception. He invested with untrustworthy characters, like a financial adviser who bilked him out of $20 million. He made lavish purchases that turned into money pits, like the $4.3 million Gulfstream jet he bought without getting it properly inspected. That mistake came with a $1 million price tag, which he was unable to pay. All in all, he reportedly blew through a $120 million fortune and allegedly even filed for bankruptcy. 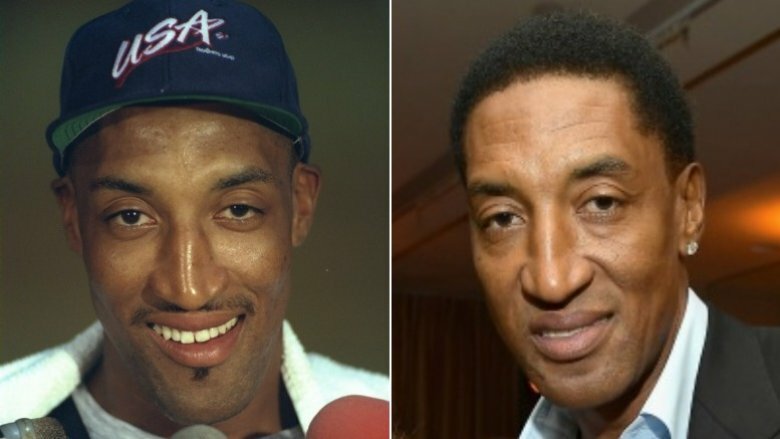 Now, Pippen himself has disputed this and sued to back up his denials. (Hi Scottie! Don't sue us!) Regardless, he rejoined the Bulls as an ambassador in 2010. For fans of the franchise, that was a welcome sight. 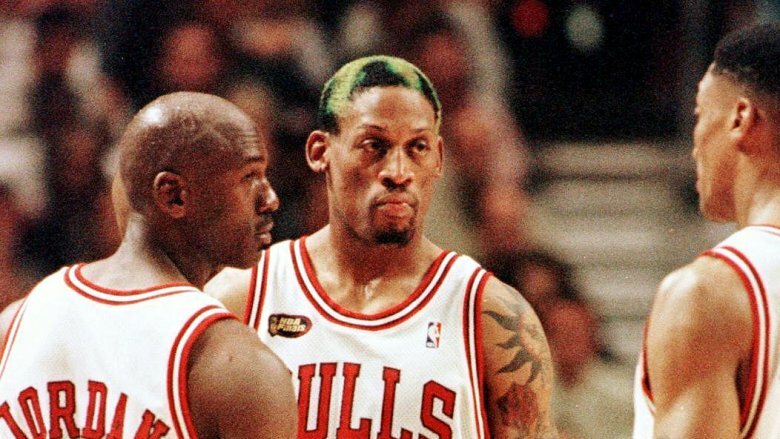 While Jordan was the greatest and Pippen was the glue, it took Dennis Rodman to turn the Bulls into something remarkable. Yes, Dennis Rodman, he of the colored hair, the referee headbutts, and the surprisingly stylish wedding dresses. His persona grew to such heights in the mid-'90s that casual fans tended to forget he was also an extraordinary basketball player. The Bulls didn't, though, bringing him in before the '95-96 season to wreak havoc on the boards. The result was three championships. Since his playing days, Dennis has struggled a bit. As a 2003 New York Times Magazine profile explained, the Hall of Famer "has no endorsements, no public appearances and few prospects." With a history of drug and alcohol abuse, Rodman has found it hard to figure out what comes next in life. Maybe it shouldn't come as a surprise that he had to go all the way to North Korea to find some purpose. His relationship with the country and its dictatorial leader Kim Jong-un dates back to 2013, when the NBA legend traveled there for an exhibition game. Like many '90s kids, Kim grew up a Bulls fan and was thrilled to have one of its most famous players on his home turf. 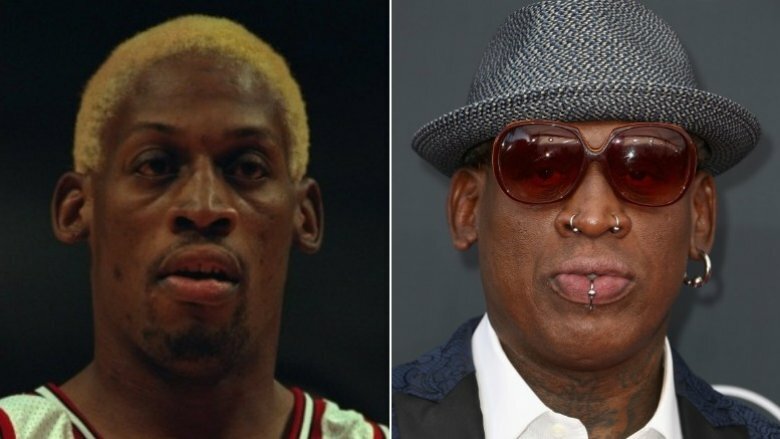 The two became fast friends, and Rodman soon took it upon himself to bring peace to the region. That effort has lasted through two administrations, and countless scorn from civil society. But who know, maybe Dennis will have the last laugh after all. 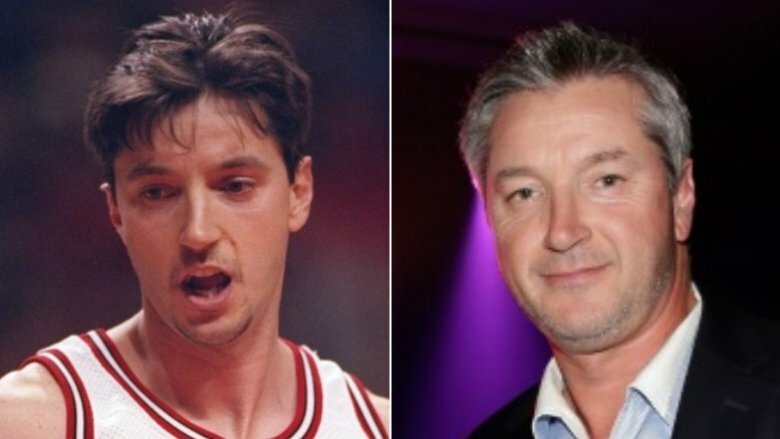 When Toni Kukoc joined the Bulls in 1993, he was the odd man out. A European player in an era before such a thing was common, he barely spoke English. And as the prized recruit of general manager Jerry Krause, his famous teammates viewed him as something of a company stooge. It was his play that would win over his teammates, a pass-first point-forward style that earned him the nickname "The Waiter." While some insist he was never allowed to fully flourish beside so many superstars, Kukoc was nonetheless a vital part of the Bulls' championship teams. So more power to him that he seems to have really taken his retirement to heart, adopting a life of leisure many would envy. With his homeland of Croatia still recovering from years of war, he's made a permanent home for himself in the suburbs of Chicago, playing golf, doing daddy duty, and then playing more golf. According to Narratively, his obsession with golf is "borderline unhealthy." He apparently spends most days tinkering with his shot before getting in a full game and then tinkering a bit more. He spends his evenings glued to the Golf Channel and does it all again the next day. With a 2- or 3-handicap, Kukoc has also become a go-to partner for Michael Jordan. The two even won Jordan's own tournament in Las Vegas back in 2011. It's all water under the bridge, as long as you can help Jordan win. 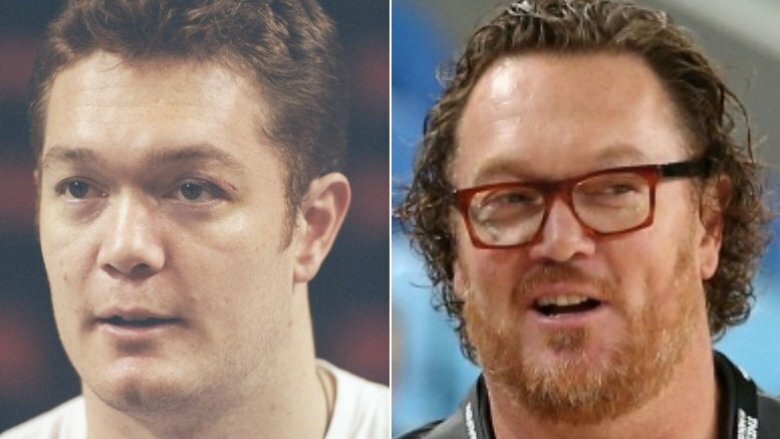 According to Running With The Bulls, Luc Longley's 1996 basketball confessional, he didn't really care for Michael Jordan. "I found him difficult to be around and he and I obviously didn't see eye-to-eye. We were at each other's throats in practice and … that was a case of frustration from both of us, mostly from him." Longley was never tough enough for the maniacal Bulls legend, which makes their success on the court all the more impressive. An amiable Aussie who grew up watching Australian rules football instead of basketball, it makes sense that Longley experienced some growing pains when he first joined the league. But, as The Ringer documented in a 2018 profile of the enigmatic center, it's Longley's retirement that proved truly surprising. That's when "he slipped into a Luke Skywalker state of isolation in his boyhood home of Perth." Apparently, he missed the NBA so much in those days, he couldn't even watch it on TV. He had to go cold turkey if he was ever going to break his basketball habit. "It's like a girlfriend that you love who leaves you," he said at the time. "The last thing you want to do is see her at breakfast. … You spend your whole life being a basketballer, and suddenly I wasn't anymore." He's since joined the Australian National Team as an assistant coach, proving some things you just can't quit. Steve Kerr was a crucial part of the Bulls second three-peat, a sharp shooter with a level head who could make the big shot when the game (or championship) was on the line. The son of an academic who was assassinated while working as the president of the American University in Beirut, Kerr came by the ice in his veins the hard way. As his friend Bruce Fraser told USA Today, "the weight of a miss, the weight of a loss, the weight of a big moment … they just didn't mean anything to him anymore," after a loss of that magnitude. 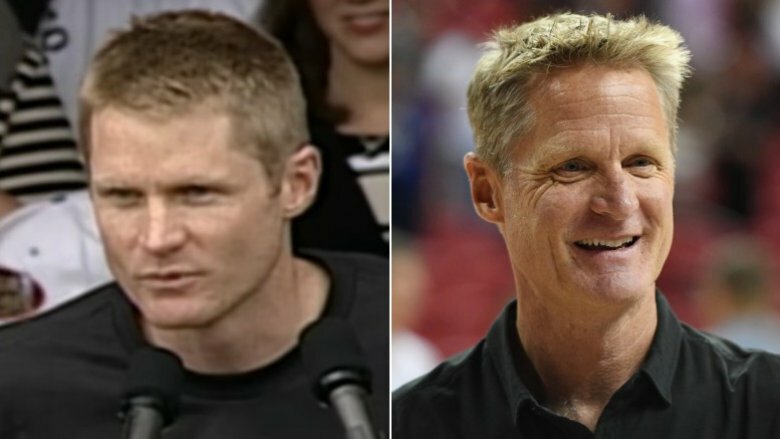 Following his stint with the Bulls, Kerr would go on to win two more championships with the San Antonio Spurs before retiring. So what has he being doing with his time since his playing days? Well, if you know what a basketball is, you might know that Kerr has become one of the most successful coaches in NBA history. That is, if you go by winning percentage, a record he holds by a wide berth. He's also the fastest coach to 250 wins, has won three championships, and has transformed the league, turning small ball and 3-pointers into the de facto style of the sport. Not a bad retirement. Jason Caffey might not be the most memorable player from the Chicago Bulls' record-breaking season, recording a snooze-inducing 3.2 points and 1.9 rebounds per game as a rookie. He didn't get much in the way of playing time, but he did get two rings out of the Bulls before moving on. He'd eventually carve out a perfectly survivable career in the league before retiring in 2003. It's the stats he's accumulated since his playing days that really stand out. 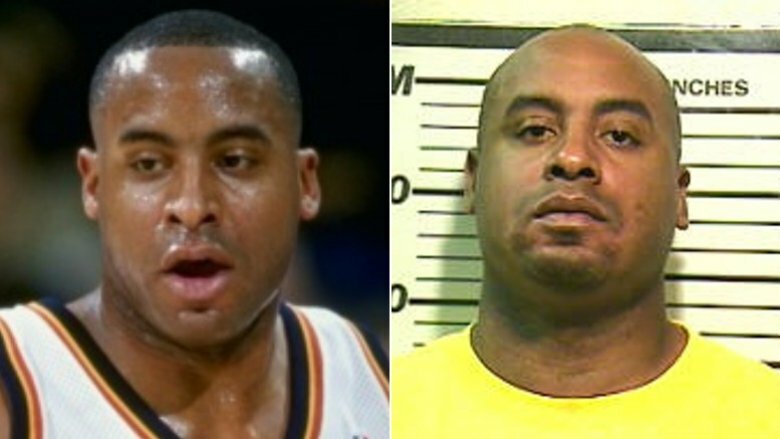 Jason Caffey is the father of ten children with eight different women. Yes, you read that right. One of the many mothers was quick to point out that, "Jason isn't a bad person. He's a good father." That's nice to hear, although don't good fathers usually pay their child support? Because Mr. Caffey opted not to do that, instead filing bankruptcy. He even went on the Dr. Phil show to plead his case, a case that was summarily tossed out of court shortly thereafter when a judge ordered Caffey to pay up what amounted to hundreds of thousands of dollars in debt. 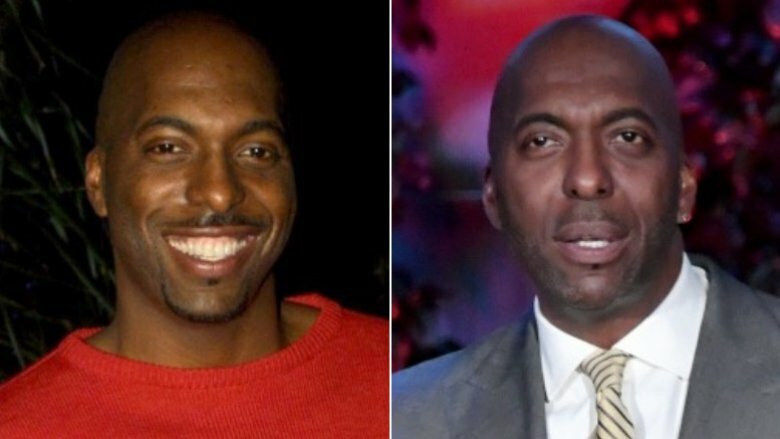 John Salley didn't play much with the Chicago Bulls, riding the pine as the team went on to make history. In fact, he's a player who's tended to be in the right place at the right time, winning four championship rings with three different teams in three different decades. Not bad for a journeyman player who averaged 7 points a game. Salley is actually one of the few NBA players whose profile has increased since he retired. That's in part due to his near omnipresent appearances on reality shows, from I'm a Celebrity … Get Me out of Here to Basketball Wives to Celebrity Ghost Stories. But what he's slowly becoming best known for is his vegan activism. As he explained to the Los Angeles Times, it all dates back to a shoot he did with PETA. The only food provided was vegan, and he had an epiphany, deciding then and there to never put animal products in his body again. He claims that he's since regained the energy and libido of a man 20 years his junior, which is probably a bit too much information. Still, good for him. This guy is a true believer. He's even testified before Congress to ask for more vegetarian options for school lunches. A backup for Luc Longley during the historic 1996 season, Bill Wennington was always a fan favorite. McDonald's even named a burger after him, albeit briefly and only in the Chicagoland area. Still, if you were in the Windy City in 1998-99 and had a hankering for a single patty topped with cheese, onions, barbecue sauce, and a slice of Canadian bacon, you could do a lot worse than the "Beef Wennington." Once retired, Wennington knew a good thing when he saw it and decided to stay as close to the Bulls as possible. He became a radio color commentator for the team, a job he holds to this day. So, if you put a novelty burger, a job on radio, and a spot in the Canadian Basketball Hall of Fame together, you've got a nice little resume there. 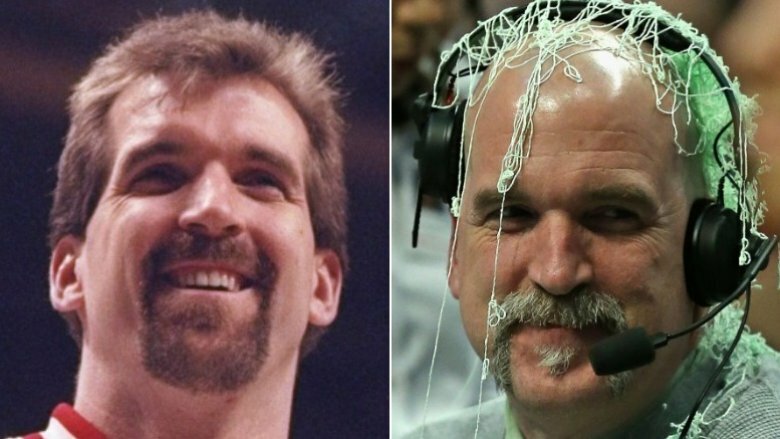 Good on you, Bill Wennington. Way to make your dreams come true! 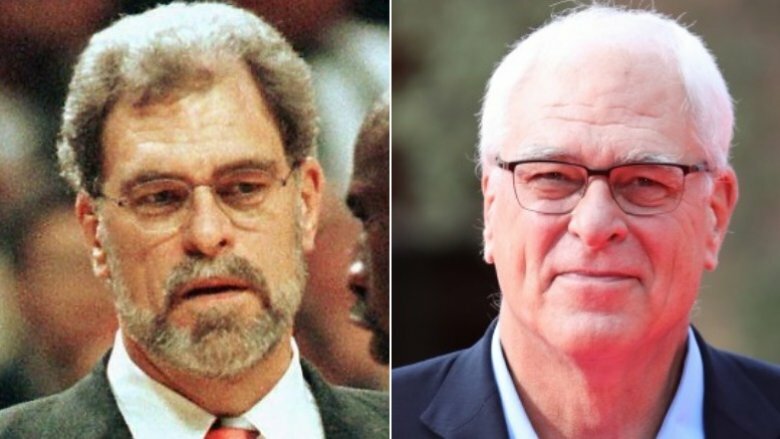 When it comes to greatest coaches in NBA history, Phil Jackson is right at the top of the list. Between the Chicago Bulls and Los Angeles Lakers, he won an astounding 11 titles. He was the fastest to win 1,000 games. And if you follow the SRS ratings – which are a bunch of gobbledygook but are basically a statistic that places "equal weight on each game, caring more about margin of victory than win-loss records" — Jackson's right at the top of the list. Which makes his recent stint with the New York Knicks all the more disappointing. When Jackson accepted the job of team president with a five-year contract back in 2014, it was hoped he would bring some pedigree to the listless franchise. Instead, he quickly morphed into Clint Eastwood in Gran Torino, yelling at all of these youngsters to get off his lawn with their pick and rolls and 3-point shots. He forced his triangle offense, which had won him countless games over the years, down the throat of coaches who wanted no part of it. And he re-signed his star player, Carmelo Anthony, only to then completely alienate him. In the end, he parted ways with the franchise, putting a blemish on his otherwise untouchable career. Fortunately, the zen master coach has probably already transcended all that drama, and reached a higher plane of … oh man, he's on Twitter, isn't he? Yeah that's probably a bad idea.